24*7 Access to Co-working Space in Chennai available on a Monthly Basis. 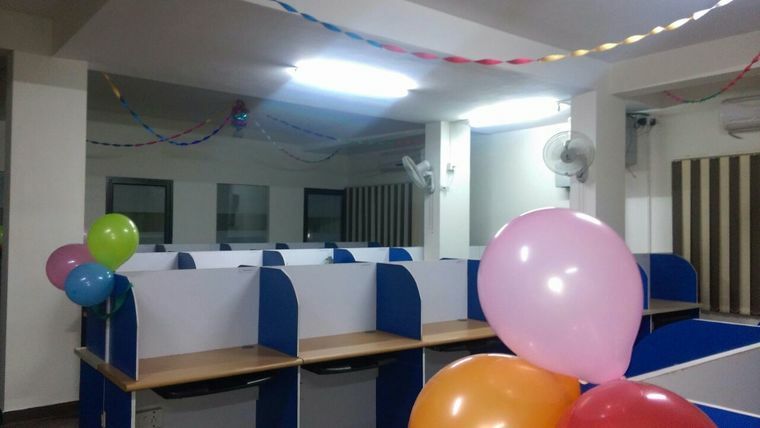 This Co-Working Space has 25 Desks to be provided on Sharing Basis. 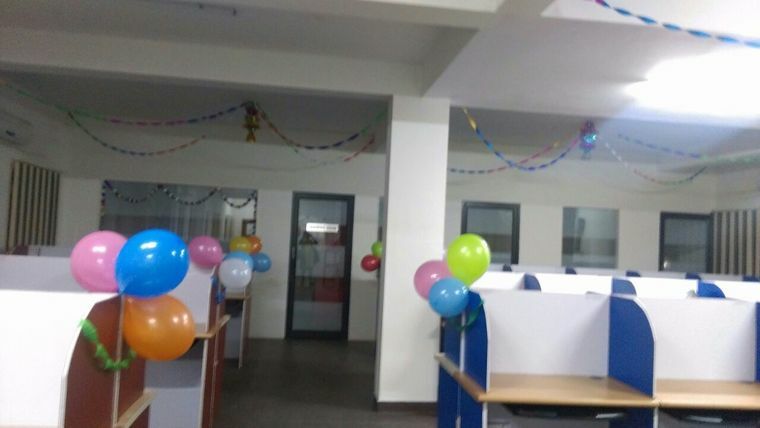 This Corporate IT Organization Provides Co-Working Space in Chennai for 24X7 Access near Poonamallee High Road Available on Hourly, Daily & Monthly Basis. Working from this office either on a requirement basis or on a regular basis. This Venue has packages that you can customize. You can use modular workstations, conference room, cafeteria and training room. 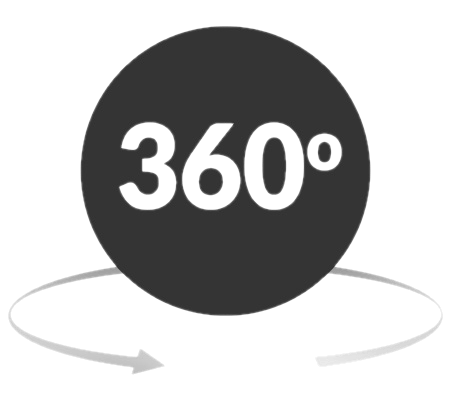 While these solutions save your operational expenditure, this also gives you access to best practice sharing and easy to reach consultants for your various business needs. 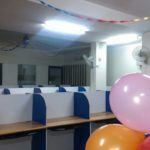 It provides some of the best-shared office environments in Chennai. If you are on the hunt for that perfect co-working space in Chennai, you have come to the right place. This shared working space could be an excellent option for startups on a limited budget, creative professionals and freelancers, or anyone who just wants to work in a peaceful place with the right solutions along with like-minded and aspiring people. Close to Nelson Manickam Road & Mumbai Highway Road. Very Near to Collectorate Colony. 5 Min away from Passport Seva Kendra, Govindan St.
700 meter away from City Center, Anna Nagar. Only 1.9 Km away from Nungambakkam Railway Station Chennai. 2.0 Km (Approx. 5 Min) from Loyola College. 3.0 Km (Approx. 7 Min) from Anna Nagar Tower Metro Station. 3.0 Km away from Kodambakkam. 5 Km away from Abirami Mega Mall. 7 Km (Approx. 15 Min) from Chennai Egmore Railway Station. 10 Km (Approx. 24 Min) from Guindy Railway Station. 16 Km (Approx. 37 Min) from Chennai International Airport. Various dining options are available in the vicinity & public transport for the location is easily available in the city.